A' Design Award and Competition integrates a very special policy for advancement of the platform, the service and its value proposition. Time passes by, technologies improve, trends change and culture moves forward, audiences progress. Not advancing means staying behind the times, becoming out of fashion, is old. While of course the value of the design award would increase over time, since number of years a competition is organized is relevant to its prestige and reach, like any institution, a good design award should keep innovating, updating and be relevant to the new audiences. Being relevant to the new audiences mean following new technologies, new trends and cultural movements, and building upon the value proposals to reflect the desires and preferences of the new age. How and what to Advance? 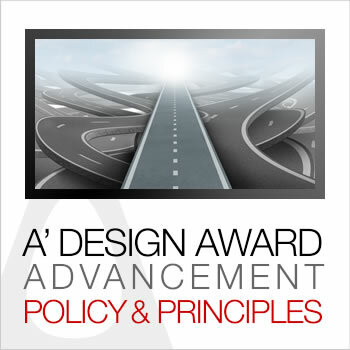 To Advance A' Design Award we propose five main methods: Policy Creation, Automation and Guidance, Value Proposal Creation Update, Diagnosis and Research, and Breakthrough via Experimental Creativity. Policy Creation – Creation of new policy documents can advance the A' Design Award by making it more institutional, documented, versed and therefore sustainable in the long run even after the original creators cease to exist, their know how would be inherited in the form of written text that explains procedures, rules of conduct, system design and methods of thought. Simple Policy Creation is about documenting and thus systematizing and making uniform the procedures thus providing trust and a level of quality to the audience. Advanced Policies could for example cover less common issues, providing detailed tips on what could be done, or like this policy could cover and provide insights about the general thinking and state of mind. The target of Policy Creation is to ensure a sustained level of quality of the platform, as well as making it more alive by embedding the platform with values, emotions and culture. Another example for a policy is the annual administrative calendar which identifies when to undertake which initiatives, including marketing as well as research projects. Automation and Guidance – Creation or integration of software, systems or algorithms that make the life of the audience simpler. Simple Automation could be for example creating a software that would enable the audience to preview customizable deliverable beforehand. Guidance is preparation and providing guidelines and knowledge base and other educative content that the audience could rely on, this helps audience to become experts regarding the A' Design Award, allows them to benefit from more services and meanwhile reduces support requests or questions. Simple Guidance is for example preparing and publishing a frequently answered question page. Guidance and Automation can be combined, for example when the audience is filling a form or making an application, guidance elements can be automatically reminded and hinted. The target of Automation and Guidance procedures is to decrease level of repetitive, mundane and monotonous human interaction, providing our workforce more time for higher level thinking and creative time to advance the platform. Value Proposal Creation Update – The core value proposal of the A' Design Award is to provide publicity and prestige to its winners. To provide prestige, the competition must be fair, ethical, academic and famous. The following helps towards building a more prestigious and famous design competition: grand design award jury, relevant academia preferred prizes such as the exhibition and yearbook publication, and networking and marketing opportunities such as the gala-night and press releases. Simple Value Proposal Creation means for example improving the A' Design Prize by adding new items, services or products to give to laureates, meanwhile improving the economic efficiency of the competition such that the new items do not create any negative financial impacts: For example, a new digital delivery such as an additional certificate does not increase operational costs but is a value added, alternatively it could be possible to introduce further premium but optional functionality that comes with additional costs, which would also not create a financial burden. The competition must be economically efficient and must have an economic surplus to ensure the sustainability of the event, as well as to have budget for research. Furthermore, we must remember that publicity is a major value proposal, so we need to constantly look for new ways and media to advertise our laureates. Diagnosis and Research – A' Design Award differentiates itself from other design awards and competitions by being designed synthetically, to be value oriented towards laureates and participants and our method to do so is to follow research based on empirical studies, surveys, data mining, analysis, systematic review, statistics, and participant observation to identify new possibilities and value proposals that we could deliver to laureates. For us, a good design competition should keep researching, following the needs of participants to deliver them new ways to publicize, advertise and communicate their works. A very simple research method would simply be checking recent support requests and inquiries, listening to our audience we can identify new value proposals based on the requests that have high frequency, and we could spot issues that are common and that we could eliminate or improve. There are many levels of data collection, including surveys, interviews, testimonials and feedback forms integrated to our system, and we shall continuously monitor them for new value proposal potentials; maybe there are new media that we can market, maybe there is a new service that we could provide, we shall keep these opportunities always in mind as well as a written document and annual report that should be saved in our root. Breakthrough via Experimental Creativity – You might argue that a breakthrough cannot be planned, since it means a sudden, dramatic, and important discovery or development that is rather unexpected, but in reality it could be, because it also means an instance of achieving success in a particular sphere or activity and more importantly it is possible to have more breakthroughs by having more experiments. Failure and Success are both byproducts of creative experiments. 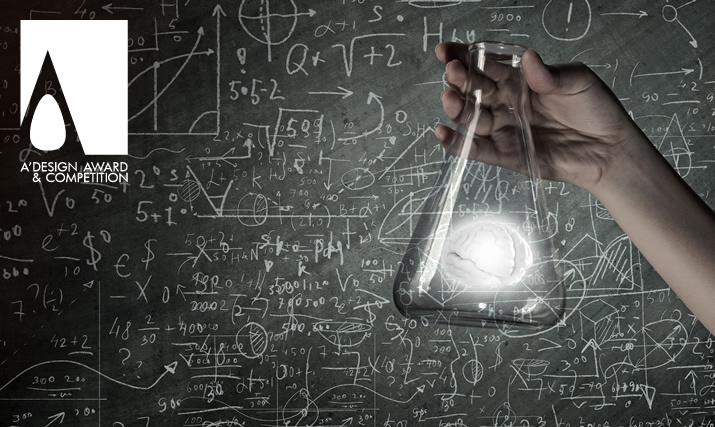 To ensure we have more successes, we must experiment and succeed as well as fail more. Simple experiments could be trying out new ways of marketing, new media, new products, new services, new design styles and new communication methods, we must be scientific for our experiments, we must observe their performance, if an experiment is fail, that is okay, and we shall just forget about the sunk cost, and revert any changes, if an experiment is success, that is welcome, we shall think and reflect about it, why it was a success and we should think deeply on how can we repeat this success, how can we deconstruct and repeat the experience. Improvements and advancement by breakthrough via experimental creativity requires us to be open to new possibilities, new norms, new technologies and new ideas. Furthermore, in addition to the overall mind and thinking strategies above, we could consider the following established methods: SWOT analysis to helps us identify our strengths, weaknesses, opportunities and threats. Benchmarking to measure our performance against our competitors as well as similar institutions. Market research to investigate our market and industry to identify trends, changes and customer or client demands. Trend analysis based on data collected over time to identify consistent results or trends. Research that provide useful information that can help us develop our systems and culture. We shall have a goal of constant growth, and when we can no longer grow due to market cap, we must grow the market. We shall measure our growth with the number of laureates, participants, economic surplus, as well as audience reached through impressions. Finally, we should enjoy our work, we must improve our environment, work space, ethics, and culture, we must follow our initial goal of advancing the society by creating incentives that push designers and companies to come up with superior products or projects that benefit society. We shall keep a score of our standings both financially as well as innovation wise, we must register our ideas, we shall use high impact marketing that is effective, we shall monitor and follow trends, we shall improve our skill-sets and capabilities, we must improve our marketing, we must follow or know best practices and we must build upon them, perhaps we must create new standards, we shall reinvent the industry if it is required, we must know no limits to our creativity and we shall never take a break from advancement, and we shall always think of ideas as well as always reward such ideas, we must encourage ideas and creativity within organization, and we should ensure that if someone contributes an idea, that is definitely rewarded, we must especially do so to create an incentive for flow of ideas from our audience as well as our team. When we are developing new technologies, systems and services, we shall always consider improving and building upon existing ones, this way we could grow our growth. Thinking like a child is important. Children do not have prejudice, Children try new things, Children explore possibilities, Children are playful. 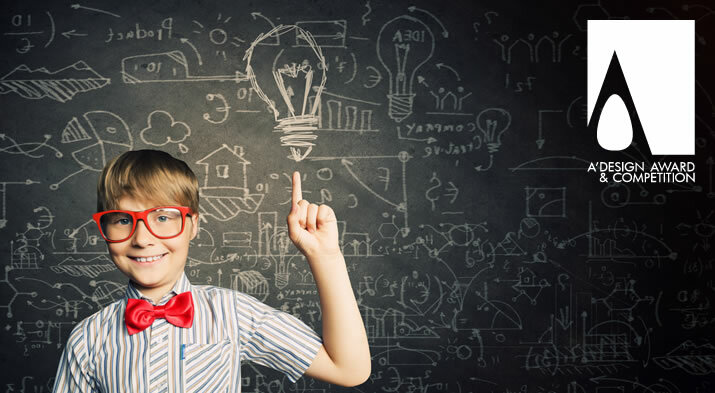 We must think like a child, we must be open to new possibilities, we must learn and adapt to new technologies, way of thinking, and we must be open minded about trying out new things. Sometimes we must act like a baby; if we cannot run; we shall walk, if we cannot walk; we shall crawl, if we cannot crawl; we shall cry; we must reach out, we must accept our position and request help. Finally, like any baby, we shall aim to grow, to become bigger, stronger, better, faster and nicer. The Only Support Metric that Matters : Number of support requests, is all that matters; our mission is to reduce the number of support requests as much as possible, but of course here is the catch; we need to reduce the support requests by actually making it easier to request support; we need to reduce the need for support by making the platform easier, efficient and user-friendly, and to reduce the need for support first we need to redesign and improve the platform to ensure that it reduces human errors, it automates repetitive tasks and it helps participants self-serve and self-fulfill through advanced and smart processes. If participants can manage to auto-respond to their needs through the tools we provide, and if these tools are smart enough to help users; good user-interface, fault-tolerance and integrated feedback mechanisms, then we will have less support requests, and we can focus more of our limited resources on advertising our laureates instead of providing support. We aim to improve A' Design Award website overall design every year however we usually prefer to improve usability and engineering before the make-up; first of all we ensure that the platform is working as expected; we do not update the interface too often in order to keep the familarity the participants have gained over the platform throughout the years. We have integrate our interface policy to our corporate calendar, so every year we spend reasonable time on our interface design to make it more easy to use as well as to keep it trendy, in most years, we decided that it is better to make a satellite or micro website which incorporates latest graphics trends and fads instead of updating the complete adesignaward.com website which is rather difficult, we prefer to save our limited resources for advertising our laureates instead. 1. Create an effortless platform. Clear display, simple communication, easy to use. 2. Create a platform that feels good. Creates positive mood, sustainable, efficient. 3. Create a platform that feels familiar. Easy to use, error tolerant, friendly. 4. Create a platform that is true. It works, high value proposal, high utility. To achieve comfort, to enjoy life. To avoid trouble, legal or physical. To be clean, to feel comfortable. To be in style, to look good, to look cool. To be loved, to be desired, to be praised. To be popular, to have prestige and to avoid criticism, to avoid loss of reputation. To get pleasure, to experience pleasure. To have beautiful possessions, and to keep the possessions. To have health, to be fit, to avoid pain. To make money, to earn money and to avoid loss of money. To satisfy an appetite, for food, knowledge or something else. To save time, to be efficient. To take care of others, for their family and friends. The A' Design Award and Competition aims to advance perpetually by constantly improving its value proposition, audience, platform and the A' Design Prize.